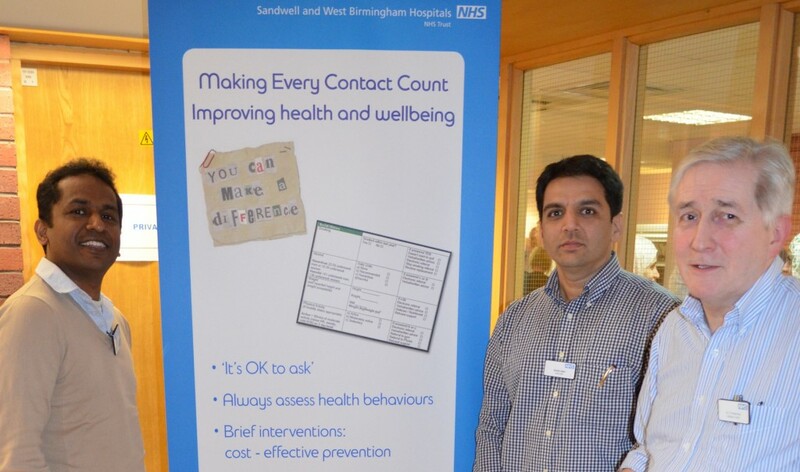 Ahead of the official launch of the Trust’s first Public Health strategy next month, Dr Doug Robertson, Clinical Champion for Prevention at Sandwell and West Birmingham Hospitals (SWBH) NHS Trust will be delivering a presentation this Friday (24 Jan) addressing health inequalities. This will include how the Trust proposes to improve the health and wellbeing of its patients, visitors, our staff, Trust members and the local community as a whole. As well as a discussion on what steps we can take in order to improve our health and wellbeing. Dr Robertson said: “As a provider organisation we strive to treat patients safely and effectively, efficiently, and to a high standard. However, many of the diseases we deal with are determined by the choices made by individuals: particularly around smoking, alcohol consumption, diet and exercise. The event, open to members of the Trust, will be held in the Anne Gibson Board Room at City Hospital, 2pm-3.30pm. For more information on membership or to attend the event call 0121 507 4892 or visit www.swbhengage.com.